All text and photographs by, and copyright of, the Authors. Looking in a dictionary “Bijou” means something small but desirable. At one time Estate Agents in the UK used it to describe very small and expensive residences in desirable locations, especially in London. 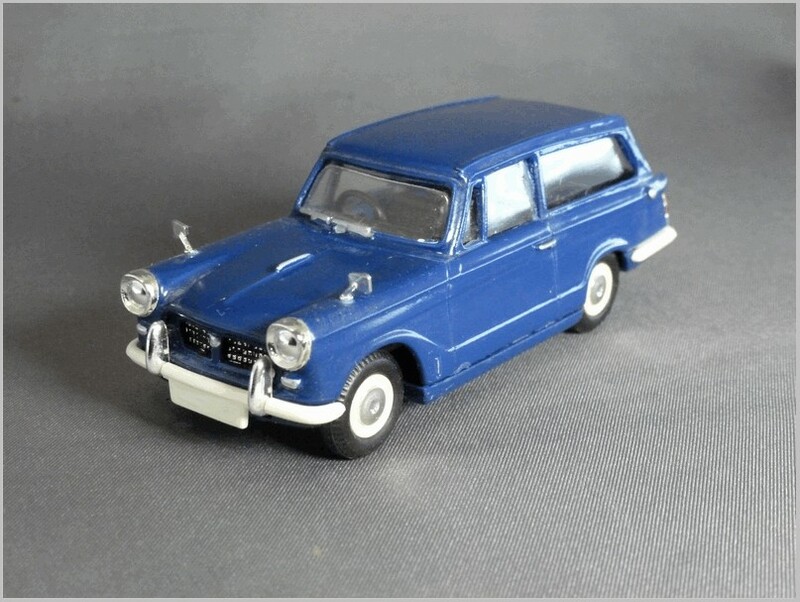 Rod Ward chose it as a name of one of his model ranges which consisted of a variety of models and transkits. 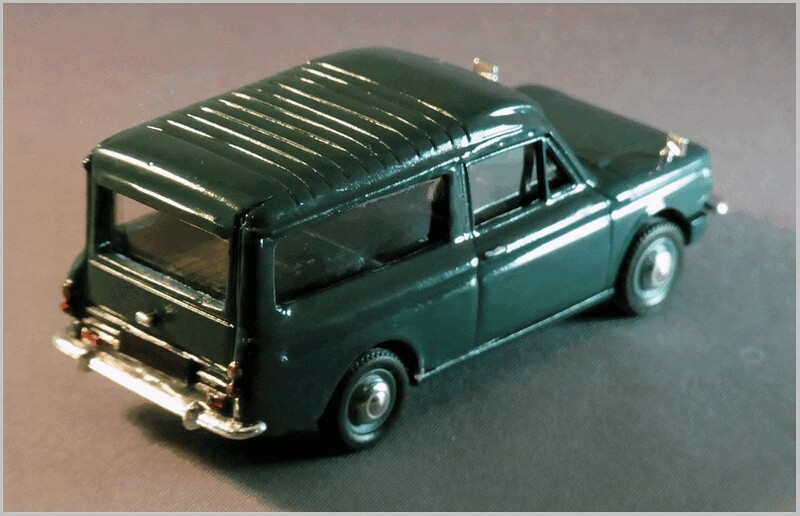 Rod remembers that sales of the early Bijou models were brisk, but that the last dozen or so sold really slowly. 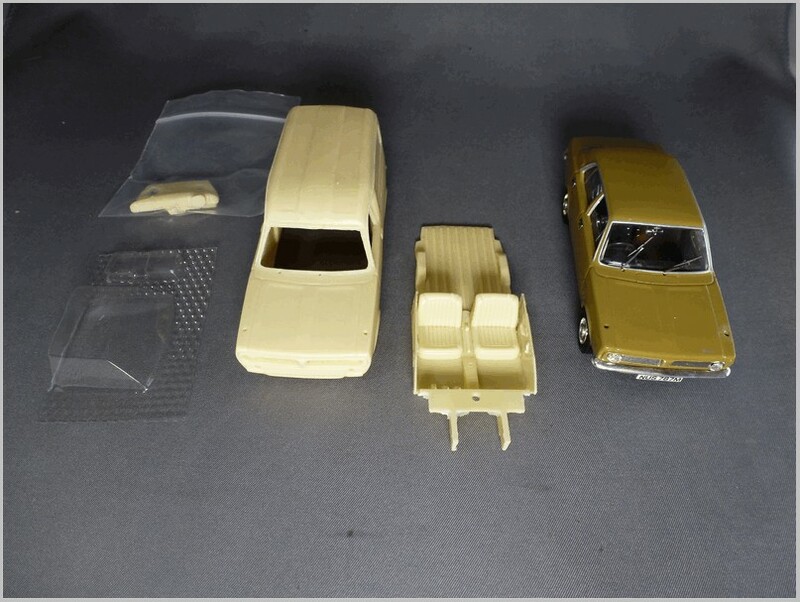 He says that the white rubber moulds for the resin castings lasted for about 60 shots, and that they did not make a second mould for anything after BJ014. With such low sales of the later models Rod stopped production, and sold the remaining stock over a period of time. He sold the last he had left with the closure of Model Auto and now the only way to obtain them is on the secondary market. 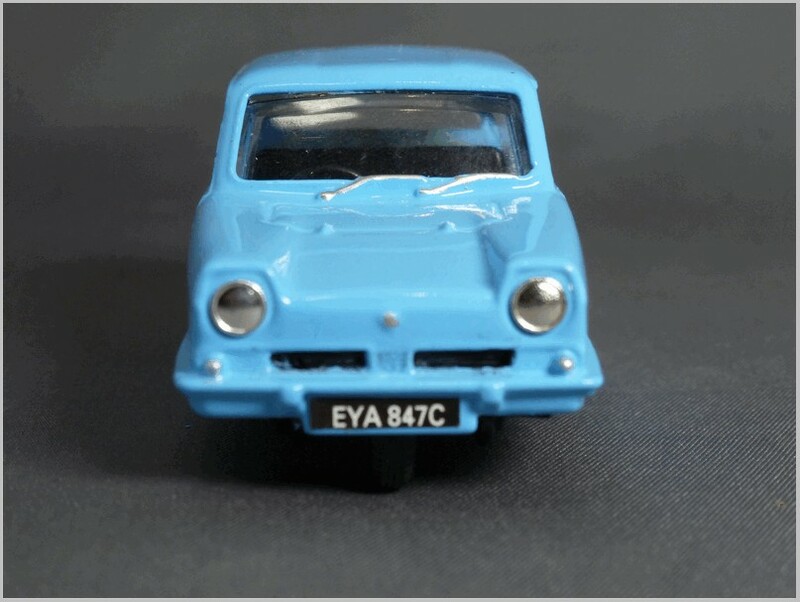 The listing below has been provided by Rod Ward and gives the full detail of the Bijou range. The models which caught my eye at the time were the transkits. And this article shows the three I have made up, and the parts of a fourth which I have yet to paint and assemble. The kits are supplied are designed to make it quite straight forward to make up the model without too much “kit bashing” involved. Though sometimes parts from the original Vanguards model need to be cut to fit to the new model. Care is needed though when stripping parts from the donor car such as the jewelled lights, headlight surrounds, wing mirrors etc. 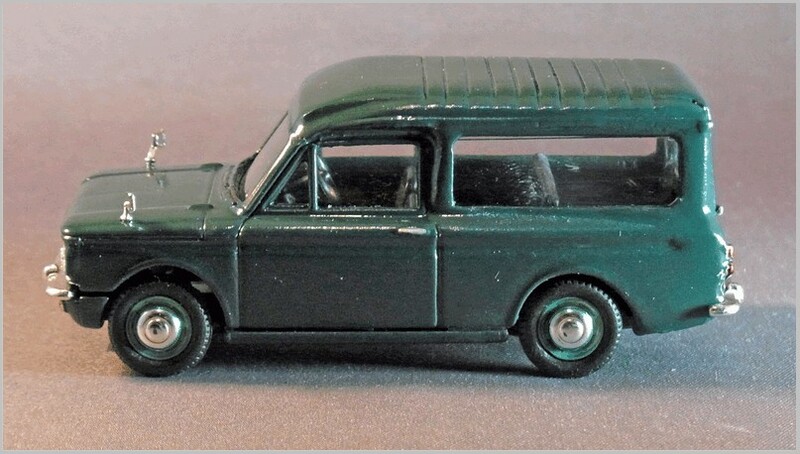 Here the donor was easy to find as there are lots of cheap Vanguards Herald saloons as they sold them in a plain box for a cheaper price for a time. As can be seen mirrors, lights, bumpers, rear light cluster and base and wheels all come from the donor car. Inside the interior is re-used. 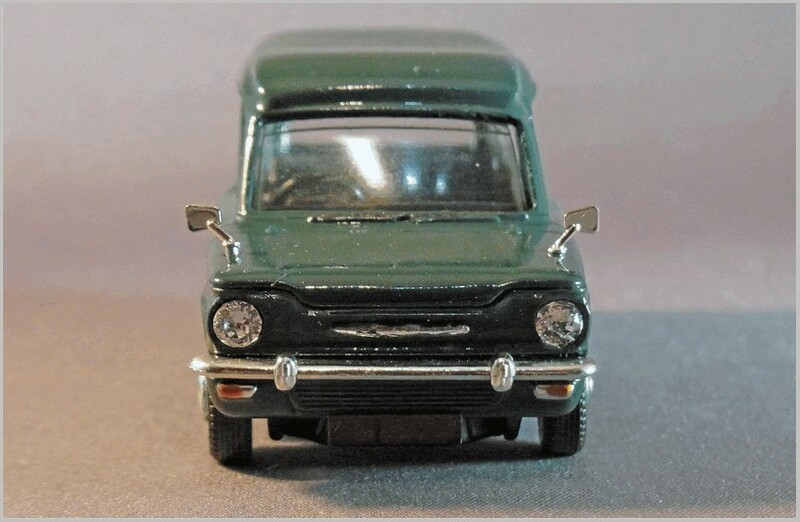 Here we have a kit to convert the Reliant Supervan made in Lledo Vanguards series into a Reliant Regal saloon. 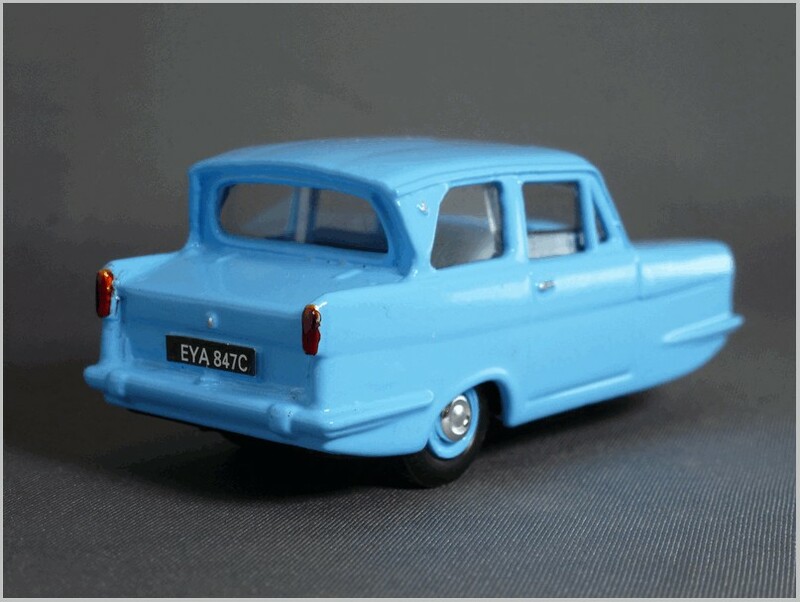 These cars were produced in significant numbers in the 1960s when their cheap tax was appealing. 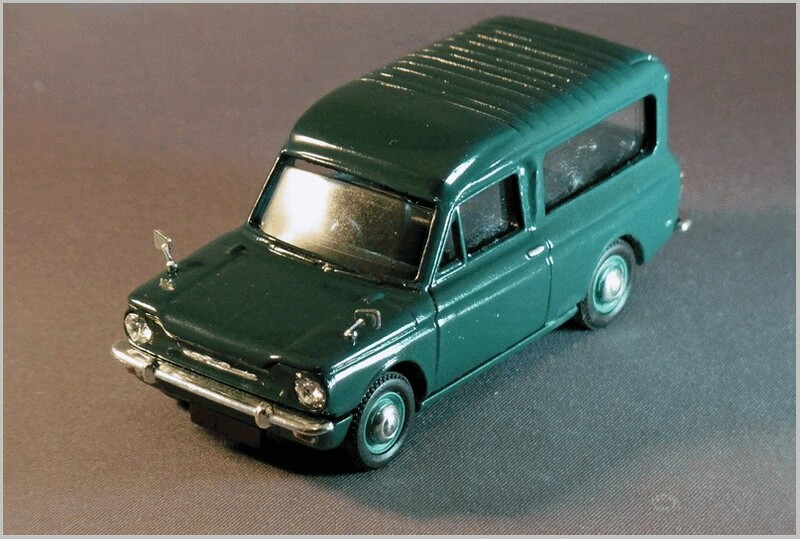 Always slightly dearer than the base Mini the attraction of their cheaper tax was lost on many. 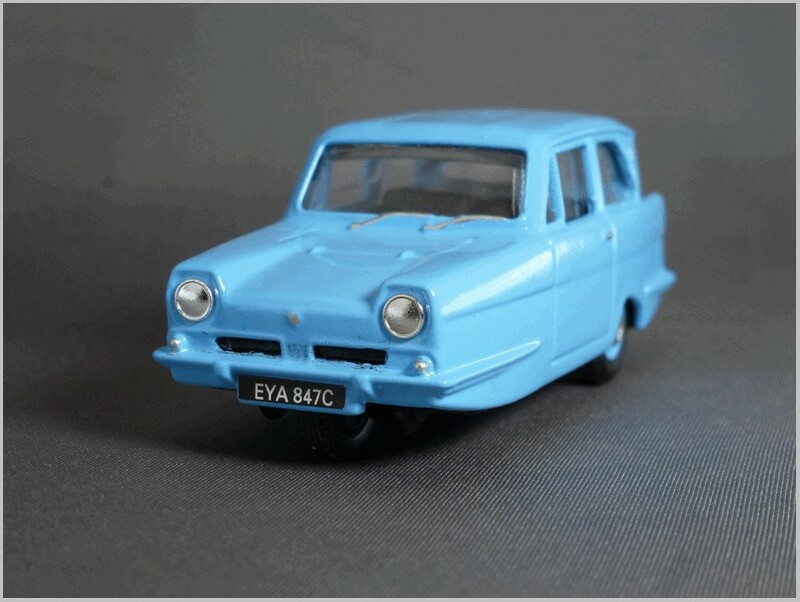 However, they did last well as the Fibreglass body was fairly robust, the simple chassis sturdy, and the small lightweight engine powerful enough to move the light car as quickly as was safe! 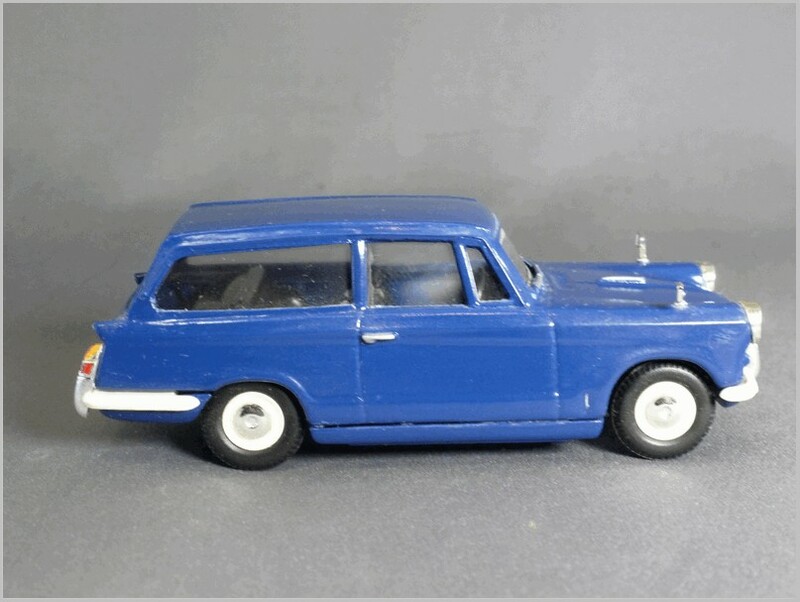 The lights, interior and base and wheels had to be swapped from the original model and a new body and vacform completed the model. 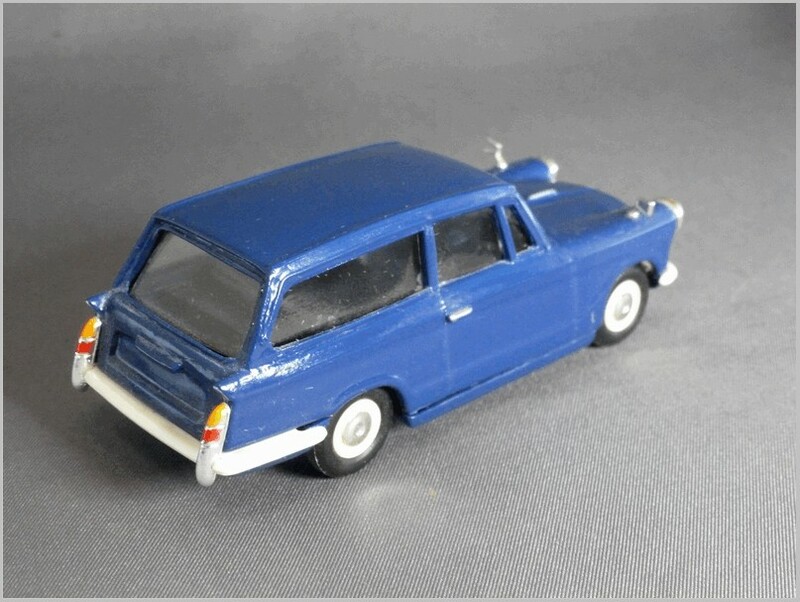 A donor Vanguards Hillman Imp or other Imp based car is needed. From this jewelled headlights, wipers, part of interior tub, bumpers, base and wheels are taken. 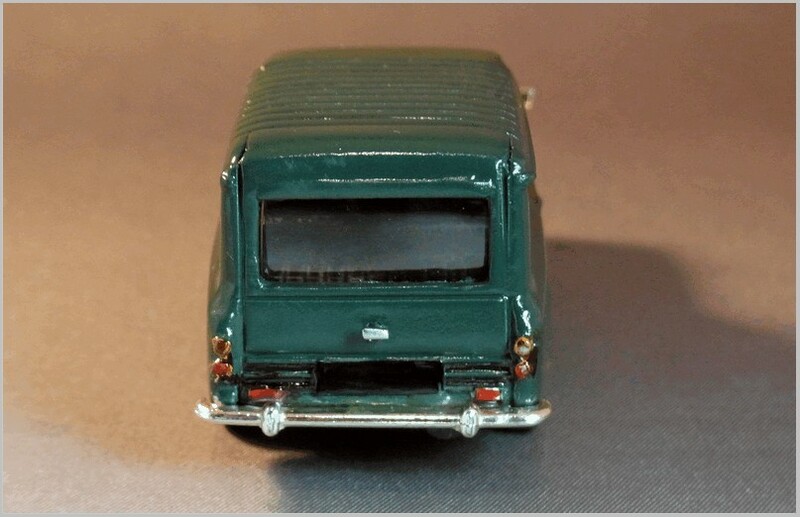 In this case the base, which also forms the cars sills and front valance, may need to be resprayed to match the new body shell making this one of the trickier conversions. That means the steel wheels also have to be repainted in body colour. 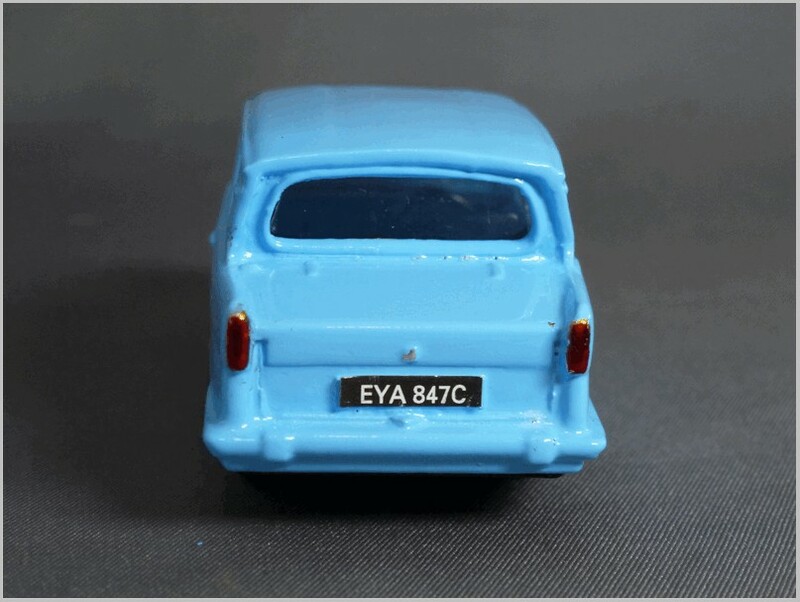 It is always a good idea to find a donor car where the wing mirrors have not been fitted as removing them can be problematic though spares can be bought if needed. The Husky was quite scarce so any model of this is welcome. The Comer Cob would be identical though with blanked out rear side windows and a slightly different interior arrangement. This kit was obtained on eBay in the recent past and is complete with its original Wimpey details, Wimpey are now part of Taylor Wimpey but they were previously a large general builder dealing with everything from Industrial plant to housing estates. As can be seen the kit provides a new body, interior, dash, and vacforms. To make it you need to retain the base and wheels, grilles bumpers and lights, mirrors and windscreen wipers from the donor. The Marina van sold extremely well and was widely used. It was always a wonder why Lledo never made one originally as they could have sold it in many liveries. I look forward to making the kit up when the weather allows outside spraying again.